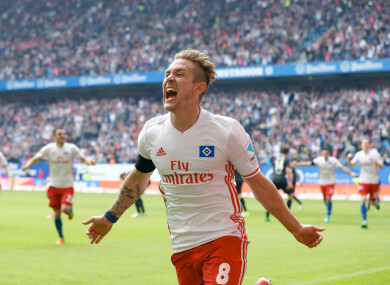 LEWIS HOLTBY MADE history by scoring a Bundesliga goal in the 100th minute of Hamburg’s away victory over Cologne on Friday. Email “Ex-Spurs player makes history with 100th-minute regular time goal in bizarre Bundesliga match”. Feedback on “Ex-Spurs player makes history with 100th-minute regular time goal in bizarre Bundesliga match”.